Explain the differences between the positions of president and prime minister. 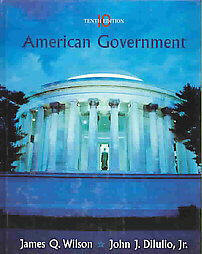 Discuss the approach taken by the Founders in regard to executive power. Sketch the evolution of the presidency from 1789 to the present. List and describe the various offices that make up the executive branch. Review discussions of presidential character, and explain how these relate to the achievements in office of various presidents. Enumerate and discuss the various facets—formal and informal—of presidential power. Two models of executive leadership exist in representative democracies, prime ministers and presidents. A prime minister is chosen not by the voters, but by members of parliament. In Britain’s parliamentary system, for example, the prime minister is a party leader, chosen by elected officials of the party, and selected to hold the party together inside parliament. Once in power, the prime minister appoints other ministers (cabinet officers) from among the members of his or her party in parliament, a fact that gives the prime minister great leverage. In addition, the prime minister is assured of a great deal of loyalty from ministers because of the tradition of collective responsibility, which requires ministers publicly to support all government policies or, if in disagreement, to resign from office. Moreover, the prime minister is shielded from bearing personal blame for policy failures through the doctrine of ministerial responsibility, which obliges the minister with responsibility for a department with a failed policy to resign. A prime minister is quite likely to have had high-level administrative experience in the national government as well as in parliament itself. Presidents, on the other hand, are nominated by conventions in which party professionals are a minority. They must appeal to a majority of the voters and may not have had experience in Washington. They may (and often do) lack a majority in one or both houses of Congress, and they select cabinet members from among their personal followers, to recognize interest groups, or to gain expertise in the cabinet. The Framers debated the office of the president at length. On the one hand, they feared the possibility of monarchical tendencies if the office was made too powerful. On the other hand, they felt that a large nation with foreign enemies required an executive with substantial powers. They were also concerned that the president not dominate Congress and that Congress not dominate the president. The assumption that George Washington would be the first president, coupled with the successful balancing of the interests of small and large states in the Electoral College, allowed the Framers to cede power to the president. The emergence of the modern presidency, then, is the outcome of nearly two hundred years of American history. The first presidents (Washington to John Quincy Adams) established the legitimacy of the presidency, greatly aided by the fact that the national government had little to do. Andrew Jackson, though opposed to a large and powerful federal government, believed in a strong and independent presidency. He greatly expanded the powers of the office. After the end of Jackson’s second term in 1837, Congress reasserted its power and, with the exception of occasional presidential assertions on Polk, Cleveland, and especially Lincoln, remained the dominant institution until the New Deal. Since the inauguration of the modern presidency by Franklin D. Roosevelt, each president has left a mark on the office of the president and on the larger institution of the presidency. For example, the power of commander in chief was, at first, not considered to entail much authority; the main military force was expected to be state militias, and the president was thought to lack any independent offensive capability without prior congressional approval. The president also was given the power to “take care that the laws be faithfully executed.” The wording seemed to imply that the president was allowed to do no more than carry out the laws of Congress, but subsequent Supreme Court interpretations of this clause have expanded the scope of presidential authority to act without a specific congressional mandate in domestic affairs. An important source of increased presidential power has always been politics and public opinion: The American people look to the president for leadership and hold this official responsible for national affairs. Richard Neustadt has argued that the president’s success depends not on any formal power but on the ability to persuade, especially as exercised in regard to the people within the Washington establishment. Since the New Deal era, the president has headed a vast bureaucracy responsible not only for implementing government policy but also for providing policy initiatives. The job became too big for any single person to manage and culminated in a report from the Brownlow Commission in 1937, bluntly declaring that “the president needs help.” The result was the creation of the White House Office and the Executive Office of the President (EOP). The White House staff was initially quite small, with presidents often personally answering the telephone and their own mail. The president did not even have a paid secretary until 1857. Rapid growth followed the 1937 recommendation. The staff numbered 51 persons in 1943 and spiraled to 583 in 1971; after this swelling of White House personnel President Carter reduced the staff to 351, a number that increased only slightly by 1990, to 386. In recent administrations, the numbers have fluctuated as some aides were included in some counts and not in others. Virtually all political scientists, however, agree that the White House staff cannot be cut. Campaign promises to do so, they argue, only create problems later in a presidency. Presidents have developed three strategies for organizing the White House Office. In the circular structure, several assistants have direct access to the president. This arrangement maximizes the flow of information to the president but produces internal confusion over lines of authority. In the pyramid structure, a chief of staff controls access to the president and positions are organized in a hierarchical formation. This arrangement is more orderly but frequently isolates the president from needed information. Presidents have recently begun to rely more heavily on White House staff for policy proposals than cabinet departments, a fact that creates a stressful relationship within the executive branch. In the ad hoc structure, the president employs task forces and informal groups. President Clinton relied heavily on this organizational approach. In general, however, presidents have preferred the pyramidal structure, with Carter and Reagan shifting to this mode to cut back on the demands on their time imposed by the circular model. The EOP, which includes the White House Office and Office of the Vice President, consists of agencies that perform staff services for the president but are not (with the exception of the White House Office) located in the White House itself. Unlike the White House Office, most of the EOP agencies have a specific function outlined in law and their executives must be confirmed by the Senate. The two most important such units in the EOP are the Office of Management and Budget and the National Security Council. The cabinet consists of the heads of the federal departments. Occasionally, under Eisenhower, for example, the cabinet has come close to being a truly deliberative body. But cabinet members are heads of vast organizations that they seek to defend, explain, and enlarge. Only a tiny proportion of employees in cabinet departments can be nominated by the president. Cabinet members are now likely to be nominated for their administrative experience and/or policy connections. The president is fortunate if most cabinet members agree with him on major policy questions, and there is an inevitable rivalry between the White House staff and the department heads. Given the president’s lack of constitutional powers and his inability to depend on cooperation from Congress or even support from the executive branch, he must necessarily rely on persuasion if he is to accomplish much. His persuasive powers are aimed at three audiences: (1) his fellow politicians and leaders in Washington, (2) party activists and officeholders outside Washington, and (3) the public—actually many different publics, each with a different view or set of interests. Any statement the president makes will be carefully scrutinized (and perhaps attacked); therefore, recent presidents have had fewer and fewer impromptu discussions and press conferences and have made more and more prepared speeches. The purpose is to generate personal popularity, which will translate into congressional support. The more popular the president, the higher the proportion of his bills that Congress will pass. Any popularity the president succeeds in gaining is temporary, however. Every modern president except Eisenhower has lost popular support between his inauguration and the time he left office. In addition to the ability to nominate people to office and to persuade the public, the president has three additional prerogatives (two of them quite controversial) with which to influence policy. The veto. The president can exercise this constitutional power of the office by sending a veto message back to Congress or by doing nothing if Congress adjourns within ten days of sending the bill to the president: this is called a pocket veto. Overturning a veto requires a two-thirds vote in both houses. The veto is a powerful weapon, because historically less than 4 percent of presidents’ vetoes have been overridden. In 1996, Congress enhanced the veto power of the president by enhancing the president’s budgetary rescission authority. (This innovation was popularly known as the “line-item veto.”) This law, however, was subsequently ruled unconstitutional by the Supreme Court. Executive privilege. The president has traditionally claimed the right to keep communication secret within the executive branch, based on the principle of separation of powers (which would be compromised if the internal workings of one branch could be scrutinized by another branch) and on the president’s need to obtain confidential and candid advice from advisers (who could not be frank if their communications were made public). In the Watergate tapes case (United States v. Nixon) the Supreme Court held that executive privilege was not absolute and did not allow the president to withhold evidence from a criminal investigation. This decision was reinforced, and even expanded, by additional court rulings during the Clinton administration, which further limited executive privilege. Impoundment. Many presidents have refused to spend money appropriated by Congress for programs they did not like. Nixon was particularly aggressive in doing this and eventually provoked Congress to pass the Budget Reform Act of 1974, which severely limited presidential impoundment. It is not clear that this matter is settled, however, because the Supreme Court has declared that the legislative veto, an essential part of this act, is unconstitutional. Immediately on taking office, the president is faced with the need to present a State of the Union address and to formulate a program of policy changes. The president must also nominate individuals to fill hundreds of posts and submit a new budget. There are essentially two ways for a president to develop a program: have a policy on almost every topic (Carter) or concentrate on only a few major initiatives or themes (Reagan). For help in formulating a program, the president can draw on aides and campaign advisers, federal bureaus and agencies, academic and other outside specialists, and interest groups. A controversial proposal may be leaked to the press, or floated as a trial balloon to test possible adverse public reaction. The president’s ability to plan is constrained by limited time and a correspondingly narrowed attention span, the likelihood of unexpected crises, and the fact that most federal programs can be only incrementally changed. The key problem in presidential succession is to establish the legitimacy of the presidency itself: to promote public acceptance of the office, its incumbent, and its powers, and to establish an orderly transfer of power from one incumbent to the next. No president except FDR has ever served more than two full terms. Assassination, death, and inability to be reelected have all taken a toll. The vice president has become president eight times as provided for in the Constitution. The Twenty-fifth Amendment, approved in 1967, provides for the vice president to take over in cases of presidential disability; it also provides for the nomination of a new vice president. The president may leave office through death, disability, resignation, or impeachment. An impeachment is like an indictment: It is a set of charges. For the president to be removed from office he must be impeached by the House and convicted by a two-thirds vote of the Senate. Andrew Johnson was impeached in 1868 because of policy differences with Congress over Reconstruction, and he escaped conviction in the Senate by only one vote. Richard Nixon resigned when faced with impeachment for the Watergate cover-up. Articles of impeachment were voted against Bill Clinton in the House, but the Senate vote did not meet the two-thirds majority required to impeach the president. No other presidential transition highlighted both the difficulties that attend to transition of power, and the resiliency of the institution of the presidency, quite like the transition from President Clinton to President George W. Bush in 2000. The thirty-six day struggle to determine the vote count in Florida was a period of much heated discussion, but no violence. When President Bush took office in January 2001, there were protestors at the inauguration, but they did not disturb the proceedings in any meaningful way. The aftermath of the 2000 election was the most “disorderly” presidential succession since the Civil War, and yet even this transition was fairly mild and highlighted the respect most Americans hold for the office and whoever happens to be inhabiting it. 1. What if president falls ill? 2. If vice president steps up, who becomes new vice president? XI. How powerful is the president? Several subordinates, cabinet officers, and committees report directly to the president on different matters. The president’s use of his prestige and visibility to guide or enthuse the American public. The heads of the fifteen executive branch departments of the federal government. Several of the president’s assistants report directly to him. The people chosen to cast each state’s votes in a presidential election. Each state can cast one electoral vote for each senator and representative it has. The District of Columbia has three electoral votes even though it cannot elect a representative or senator. The inability of the government to act because rival parties control different parts of the government. Charges against a president approved by a majority of the House of Representatives. A person still in office after he or she has lost a bid for re-election. The authority of Congress to block a presidential action after it has taken place. The Supreme Court has held that Congress does not have this power. The authority, held by many governors but not by the president, to veto specific items in a bill without vetoing it in its entirety. A bill fails to become law because the president did not sign it within ten days before Congress adjourns. A president’s subordinates report to him through a clear chain of command headed by a chief of staff. The same party controls the White House and both houses of Congress. A message from the president to Congress stating that he will not sign a bill it has passed. Must be produced within ten days of the bill’s passage.